Losing weight is not an easy task to follow and there are many roles and requirements that need to be fulfilled to get the desired weight. When you are focusing on getting the desired body shape and need to know what exactly has to be done to attain it. 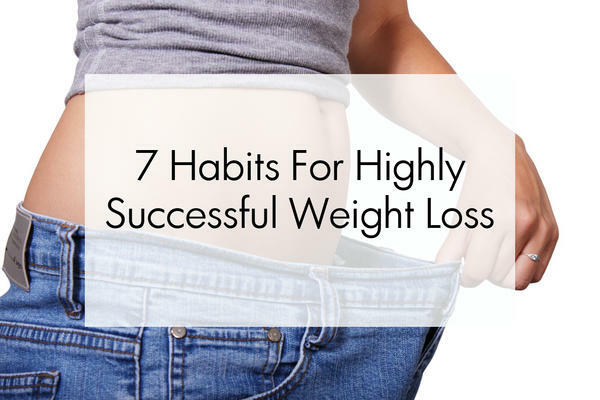 Here, below are 7 habits of people who have actually lost weight successfully. >They eat fewer calories than the average number of people: The people who have lost weight successfully have a habit of eating food items that have fewer calories. Eating food items with high calories can increase fat in the body. So, it is important to eat fewer calories than usual people. >They eat often, up to five times a day: Eating often can mean more opportunities to overeat, but it’s also a good strategy to deal with hunger. Just remember that there’s a fine line between a snack and a full-blown meal. >They stick to a consistent diet: Changing diets in a regular basis can damage your diet channels. People who have successfully lost their weight stick to a consistent diet, without changing them on a regular basis. >They don’t skip breakfast: Breakfast is one of the most important meal times to deal with weight loss. People who have successfully lost weight have a tendency to not skip breakfast to maintain regular bowel movements and thereby reduce weight in long run. >They prioritize daily exercise: Exercise is a regular effort that has to be implemented while hoping to lose weight. People who have actually lost their weight have maintained a regular routine to exercise regularly without a miss. >They weigh in weekly: The habit of weighing yourself regularly on a weekly basis can make you alert to know if you are actually losing weight or not. The scale can feel like a constant reminder that your goal weight is far away. People dread weighing in mostly because they don’t like the number they see. >They don’t binge-watch TV: While making all efforts to lose weight having a habit of not watching TV and eating snacks will actually aid in your efforts. It may sound irregular but people who actually have lost their weight have a habit to reduce their screen time while in the process to improve their body shape. So, above are 7 most crucial habits that people who lose weight actually follows. What is Body Weight Set Point and How Can You Change it?